The state of Connecticut's building codes for stairs and handrails govern the height, steepness, strength and other details that affect the safety of stairs and handrails in both houses and commercial buildings. If you're planning to remodel or repair a staircase or handrail, the building codes will tell you what to consider and what to avoid. 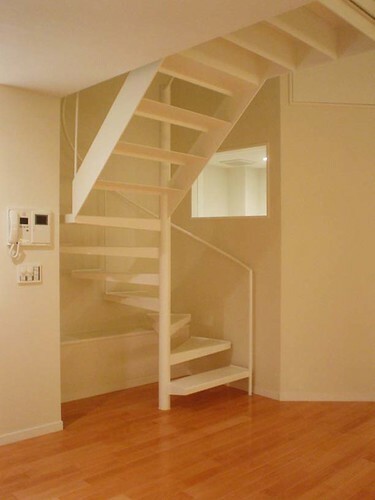 Connecticut building codes dictate how to install stairs and handrails. Staircases in Connecticut buildings must have handrails. Handrails do not need to be made of fire-resistant material as long as they take up less than 10 percent of the wall space. Handrails may stick out no more than 4-1/2 inches from the wall, according to the Connecticut Building Code. They must be able to withstand at least 50 pounds of force applied from any direction. 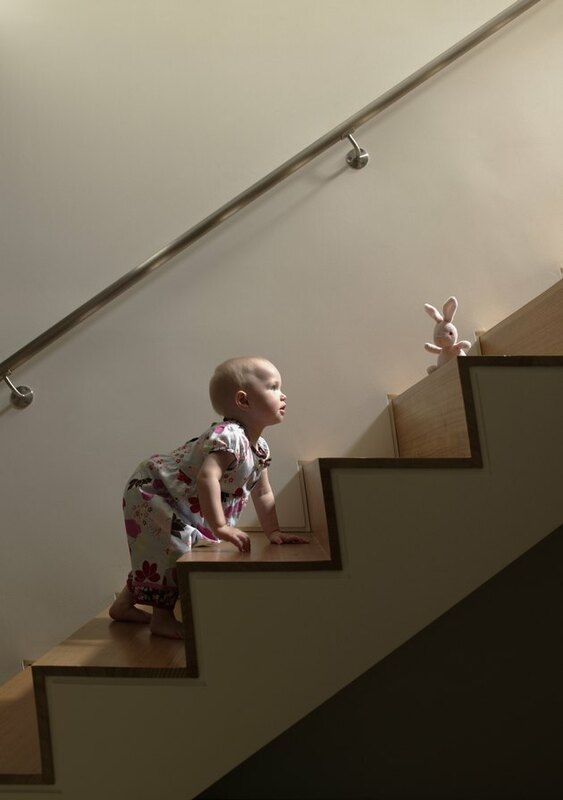 Only one handrail is necessary in a single-family home; however, handrails should be placed on both sides of a staircase in a commercial building. Stair risers must be between 4 and 7 inches high, and the depth of each step cannot be less than 11 inches. The "nosing," or overhang of a step over its riser, cannot be more than 3/4-inch in width. Staircases must be firmly fastened to the building. Using toenails or nails to attach the stairs is prohibited because the weight of people using the stairs might cause these fasteners to be pulled loose. Decks, patios and walkways with only one step are not required to have handrails. This includes single steps up to the entrance door of a building. Likewise, private homes and bed and breakfasts with areas that include only one step, such as a single step between a kitchen and living room, do not have to have handrails for that single stair.